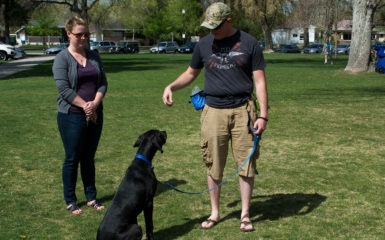 As a Salt Lake City dog trainer, I have experienced clients that have gotten injured. I have also experience clients that have been overwhelmed with work. Some clients are emotionally exhausted. 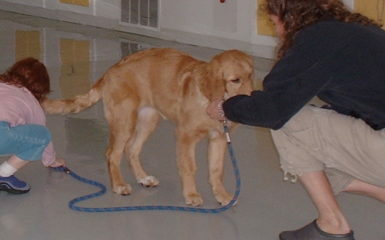 However, many of these clients still create successful training with their dogs. How do they create success with so many obstacles? These past few months I have been experiencing much anger and overwhelm. I have had many unexpected obstacles coming toward me. I thought it would be good to share with you the tools that I am learning to overcome obstacles. I want you to have success in dog training. Salt Lake City is full of successful training stories. Let’s help you and your dog become one of them! 1.) Stay committed. If you are committed to creating obedience training results with your dog, the only thing that will stop you is your lack of commitment. The results you see in your life are a result of commitment toward what you want or are a result of being committed toward what you do not want. 2.) Recommit when you get off track. Part of staying committed is noticing when you are not committed to moving forward. 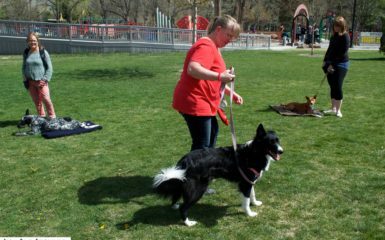 Many of my Salt Lake City dog training clients, express obstacles. They had to work overtime. A huge family emergency occurred. As a result, they spent less time training their dog this week. So what? Some weeks will be like that. That is okay. The bigger picture or bigger question is did they recommit or did they stay uncommitted the following days, weeks and months? Recommitment is your answer to success. 3.) Take care of yourself. Meditating, exercising, socializing etc. are important to your emotional well-being. You will be more successful in obedience training your dog if your needs are met. 4.) Get support. If you are finding that you just don’t have time to train your dog at all, delegate some tasks. How can you lighten your load? Can you hire a housecleaner? Can your family support you in giving you some cooked meals? Can someone else pick up some of your workload at work so that I you can get home a bit earlier? 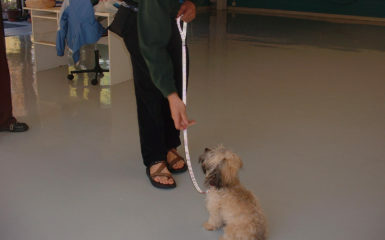 How can you do a bit less so that you can do a bit more with dog training? Salt Lake City is full of people who want to give support and help you. 5.) What’s really important? Think about how you want to spend your time. Are you wasting time doing things that you really don’t need to do or don’t want to do? Do you really enjoy the TV show you are watching at the end of the day? Are you spending extra time on Facebook? Are you texting or talking on the phone more than you actually want? If you remind yourself that these actions are not how you want to spend your time, then you can have more time to obedience train your dog. 6.) Be kind to yourself. Remember you are doing the best you know how with the current mindset you are have in this moment. Remind yourself that you are amazing. Focus and celebrate your progress instead of constantly reminding yourself that you aren’t doing good enough right now. 7.) Keep it simple. 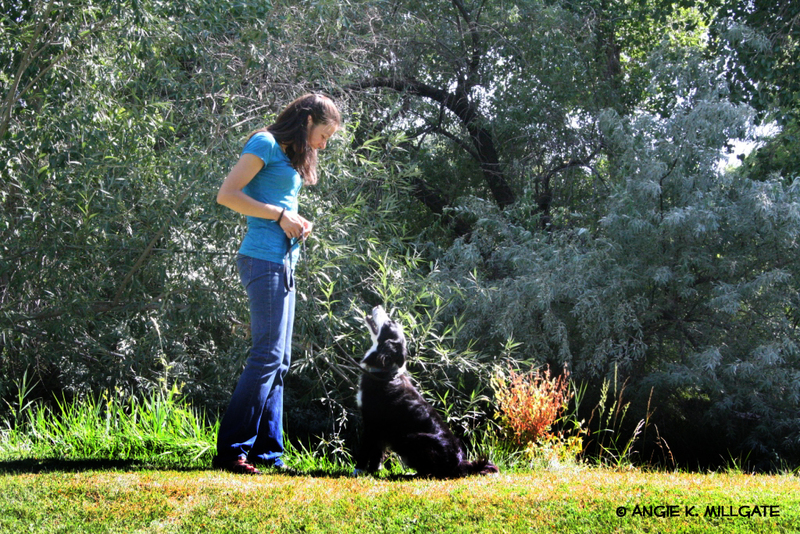 Just 2-5 minutes of training your dog a day can make a big difference for obedience training. If your dog has aggressive or fear issues you may need to spend 20 min or more a day. 8.) Set goals and deadlines. Write down what you need to do and give clear-cut off dates for tasks that you need to complete. If you have a huge to do list of mundane tasks around the house or in your life, setting goals and deadlines can free some time. Now you have extra time at the end of the day to obedience train your dog. 9.) Focus on the solution not the problem. If you had a bad training day, evaluate the situation and make a different choice next time. How can it work better next time? I wonder how I can be more successful next time? I love watching successful dog training. Salt Lake City if full of my clients that have followed the above principles to reach their training goals! Your Turn! Please comment below. We want to hear from you! When you are training on a day to day basis what obstacles are you running into? What above solutions will you apply to get back to training success? Thanks for sharing these tips. I think they also apply to many other areas in life! Thank you Kathie! I am grateful for your support and kind words! I really do hope this helps out many people!